The upcoming visit of Pope Francis to Armenia is a message of peace to the region as well as to the world, says the Very Rev. Fr. Shahe Ananian, who is in charge of interchurch relations at the Mother See of Holy Echmiadzin. The papal visit to Armenia is scheduled for June 24-26. A number of important events are expected to take place during the three days. “The Pope will arrive in the afternoon and the whole of Friday will be allocated to official protocol meetings. After the welcoming ceremony at the airport the Pope will go to Echmiadzin, where another welcoming ceremony will take place, after which he will have an official meeting with the president [of Armenia],” Rev. Fr. Ananian told media on Friday. 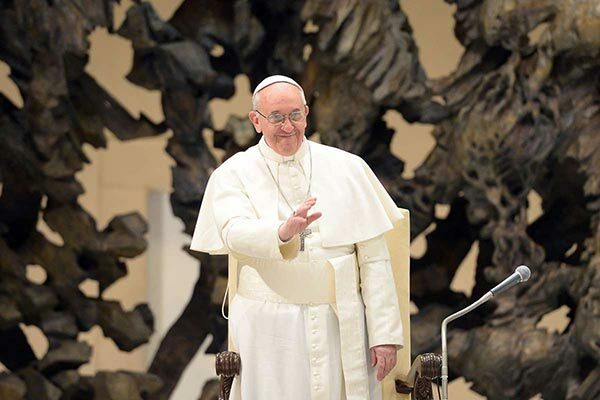 According to him, a visit to the Tsitsernakaberd Memorial to 1915 Armenian Genocide victims is scheduled on Saturday and there the Bishop of Rome is to participate in a prayer of intercession for the holy martyrs of the Armenian Genocide, as well as will lay a wreath at the eternal flame. “After that the Pontiff is expected to leave for Gyumri, Armenia’s second largest city in the northwestern Shirak province that has one of the largest Catholic communities in the predominantly Orthodox Christian country. He will conduct a mass in Vardanants Square in Gyumri. There will also be a visit to the Church of Holy Seven Wounds of Gyumri, then to the Catholic Cathedral of the Holy Martyrs,” he said. Then the Pope will return to Yerevan, where at Republic Square, in the evening, a special ecumenical prayer for peace is expected. “This will be one of the most ceremonial and well-attended ceremonies of the Pope’s visits, which may attract up to 60,000. This is an ecumenical prayer for peace in the Middle East and the world in general, and for the establishment of peace in our region,” he said. According to Rev. Fr. Ananian, the heads of the Roman Catholic and Armenian Apostolic churches, Pope Francis and His Holiness Karekin II, are also expected to sign a joint statement whose text will become available for media a few days ago before the event. “The significance of the visit is multifaceted – the most important thing is that it is the continuation of the mass that the Pope offered last year [calling the Armenian massacres in Turkey in 1915 a genocide], after which His Holiness promised in writing to visit Armenia to pay his respects to the Armenian people,” he said.